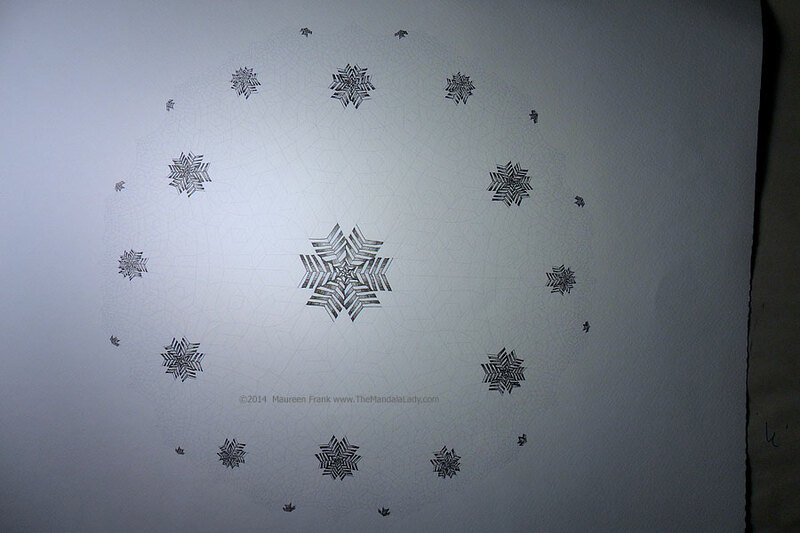 I started the Snowflake 2013 hyperbolic tessellation mandala earlier in 2014…forgot to note when exactly or take photos. So the Day 1 images show what I completed on that day. Oh well. Regardless, I continued coloring on it today and will continue to do so now on a regular basis. The challenge with pen & ink is creating an interesting piece without colors…it’s through texture and different types of strokes that contrast and “color” are achieved. Thus far I’m using short linear strokes. I have yet to make this mandala available for others to color…probably sometime in 2015.